I remember writing a blog before I moved to Burkina about the things I would miss the most after leaving the U.S. You know, things like my family, friends, good food and Chick fil a. 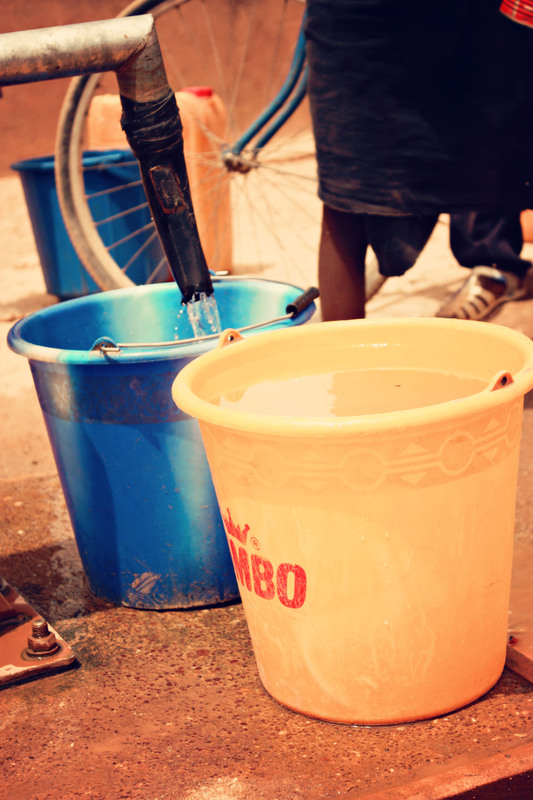 It wasn’t long after moving to Burkina that I realized it was things like electricity, running water and cooler weather that I would miss the most (besides family and friend of course). It is in the middle of hot season (March-May) that I miss these things the most. May is a miserable month here in Burkina. Temperatures get up to 110-115 or hotter most days with it being over 100 degrees in my house pretty much every day. There are also frequent power cuts (I had one for 14 hours the other day) and water cuts. Typically I just want to get through hot season as fast as I can because it is so miserable. It was during a recent power cut when I was drenched in sweat and wanting to complain about how miserable I was that I was reminded of how much I have to be thankful for. I live in a country where most of the people never have electricity or running water. Not only do I have both most of the time, but I have a backup water tower so that I basically never run out of water (this wasn’t the case my first year here) and I have a generator I can run when the power cuts get to be too long (or I just need power). I also have an air conditioner I can run at night to sleep or when I need a break from the heat. I am blessed with a nice house and never run out of good food. Too often I am quick to complain about the things that make life uncomfortable and I am way to slow in giving God thanks for all He has blessed me with. This is something God has convicted me of before and has once again brought to my attention. In the middle of a miserable situation I need to learn to look for those things God has blessed me with and choose to be thankful regardless of the situations I find myself in. This is by far my favorite word in the bible. To me there is an amazing amount of meaning wrapped up in this one word. It is the Greek word Jesus used when He was dying on the cross and said, “It is finished”. However, there is so much more meaning to this word when you know a little history behind it. This word was used in New Testament days when someone paid off a debt. Once the debt was paid in full this word was stamped across the record of the dept. This word was also used when a servant had finished the work he was supposed to do or when a shepherd found the perfect lamb for passover. I cannot completely grasp the significance of all that Jesus did for me. He came to earth to fulfill a specific purpose, a specific job. He came to become the perfect lamb, to become the ultimate sacrifice, to become sin & die on the cross to pay OUR debt…and He paid that debt in full. There is nothing left for us to pay, our debt was completely paid off when Jesus died on the cross. This is something that I try to consciously think about each day….each day I try to grasp this and thank God for my salvation that I have because Jesus paid my debt in full. No matter how long I think about this or how long I try, I cannot truly and completely grasp this. It is because of this amazing truth that Jesus should be what my life is all about. I was recently reminded of this when I received some missionary friends’ newsletter. They stated that, “Our first calling is not to the ‘work of the ministry.’ There will always be work to do and needs all around us everywhere we turn and it would be easy to burnout. However, our ultimate call & purpose is to be with Jesus! Jesus is our first calling. Period!” I was convicted when I read this because it can be so easy to get caught up in the ministry and what I am doing for Jesus. I was reminded that I need to take time to just be with Jesus and that my first calling is to Him…that my life needs to be all about Him. Recently I have been reflecting on all God is doing here in Burkina and I am blown away by how blessed I am to be part of so many amazing things God is doing through Envision Burkina. As I have reflected on the ministry here, I see how God is using teams to reach the people of Burkina. Because teams come out we are able to come alongside the Burkinabé and build church structures, drill wells, minister to the hurting, feed the hungry, provide handicap bikes to those who would otherwise be crawling on the ground and much more. Recently, someone said something to our Envision team about how in all that we do, we share Christ and the Gospel message…THIS is what gives us the passion to do what we do. 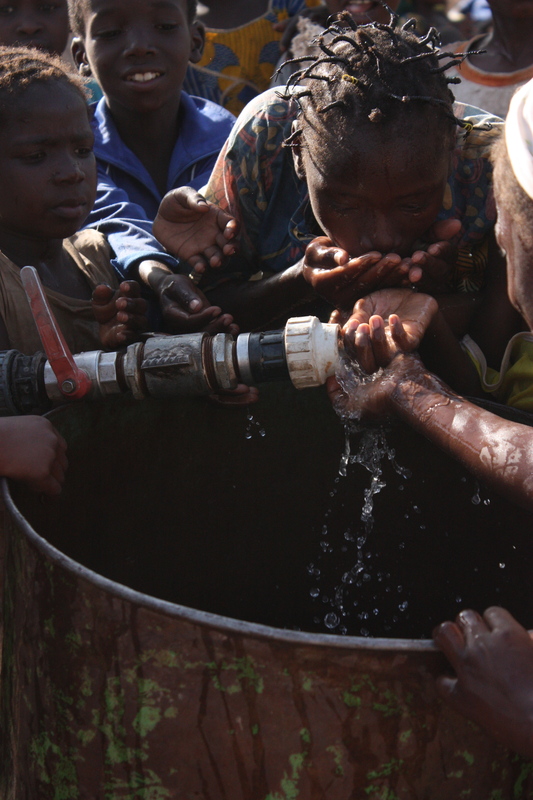 Yes, it is awesome to be able to provide clean water for a village or to help someone who has been beaten and left for dead. Yes, it is important to help meet the needs of others and to show love to everyone, in fact both are Biblical. But, our ultimate goal is to see people give their lives to Christ. Teams giving up their time to love on the people here through smiles, touch, time, gifts and meeting their physical needs opens up many opportunities for Burkinabé believers to share the message of Christ. I could tell you story after story of people who have given their lives to Christ as a result of a team coming out and loving on the people in one way or another. One of the missionaries we partner with tells groups they just need to love the people and leave the rest up to God. Loving others looks different everywhere you go. Loving others could mean taking time to play a game or teach someone English. Loving others might mean drilling a well or distributing handicap bikes. Loving others might be something as simple as holding a baby or taking time to smile and shake someone’s hand. I have seen many teams come to Burkina and take time to love the people here and as a result I am seeing God do amazing things here in Burkina. 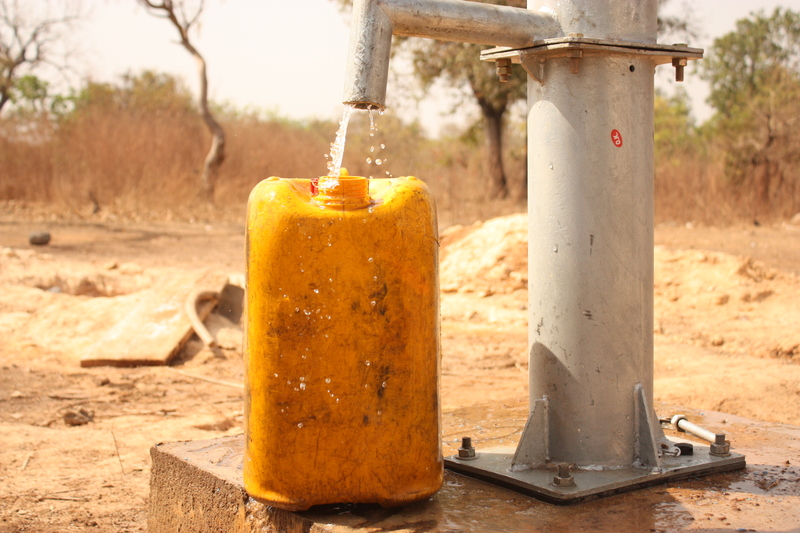 Wells providing clean water to villages in Burkina. Church structures teams are building in the bush. TOMS shoes distributions with Sheltering Wings (orphanage we partner with). Loving on babies (and kids) at orphanages. May we never forget in the middle of busy weeks and endless reports and projects that God has called us to love people. I love Christmas … I love the decorations, the music, the food, ugly Christmas sweaters (or at least making fun of them), time with family, Christmas Eve services and everything about it. With this being my first Christmas in the U.S. in the last few years, I have really been enjoying all the Christmasness all around me. However, I realized the other day as I was listening to some of my favorite Christmas music that I was getting lost in the middle of all this Christmas greatness. along with other similar lyrics, when I was convicted of how “lost” I had become in the middle of this Christmas season. I have always known the true meaning of Christmas and I have never forgotten the true meaning of Christmas, but somehow it got pushed to the back of my mind. Hearing these lyrics helped bring it back into focus. Christmas is a time for us to celebrate the birth of Christ. But that isn’t the end of it. Christ came to bring us good news of great joy. He came to be our Savior, to die for us, rescue us and set us free. THIS is why we celebrate Christmas. As I have listened to these songs over and over again, I keep reminding myself that in the midst of all the “Christmassness” not to lose sight of what is most important. I am not saying that all the lights, decorations, goodies, time with family and gifts are bad…these are all fun, but if I am not careful they will become the main focus instead of what really matters. And what really matters is Christ and my response to Him. My favorite Christmas song is Little Drummer Boy. Part of that is because I have a weird obsession with drums, but it’s the message of this song that really makes it my favorite. It is about a little boy who is going to see a new baby king, but doesn’t have money to buy him a gift. So, he decides he will play his drum for the baby king and he plays his best for him. This song is a reminder of what my response to Christ should be. It doesn’t matter what I have or what God has called me to do. What matters is that I give my all and do my best for my King. By now you most likely have heard more than you ever wanted to hear about Ebola and probably have your own opinions. I know I have several things I have wanted to share on more than one occasion, but I have kept my opinions to myself…unless you happened to ask me about it or were around when it came up in conversation. And, at this time I am still going to keep most of my opinions to myself. However, one of the things that continually surfaces when I am discussing Ebola with my friends in Burkina is the need to trust God. For those of you who don’t know, there are about 15 countries in West Africa. Only three of those countries currently have Ebola cases. There are no reported cases of Ebola in Burkina or any surrounding countries. Burkina is over 1500 kilometers from the closest Ebola affected country. However, there have been teams who have cancelled trips, employers who want their employees to stay out of the work place for 21 days after returning to the US from Burkina, people who think all flights from West Africa should be banned and other similar situations. Having said all that, this isn’t going to be yet another blog about Ebola, but a blog about our need to trust God. Recently, I had a conversation with friends about trusting God and one of the things we talked about was how we didn’t move to Burkina because it was the safest or most comfortable choice, we moved here because God called us here. I think Scripture is clear that our life isn’t always going to be easy or comfortable (James 1:2-3). Scripture is also clear that God is in control and we have to trust Him (Proverbs 3:5). If God has called us to something, we have to trust Him to handle the details. I was reminded the hard way that we are not promised tomorrow and that no matter what happens, I have to make the choice to trust God. My sister woke up one morning and her husband was dead. His autopsy report revealed that he was perfectly healthy and provided no answers as to why he died. He was a young, healthy guy living in Texas with a safe job. He loved God and was serving Him where God had placed him and yet he still died. The bottom line – we have to trust God. I always say that God gave us a brain to use so we need to make wise choices, but we also have to trust Him no matter what is going on all around us. In relation to that subject I said I wasn’t going to talk about – we need to remember that it is God who gives us life and health every day and it is God who can take it away at any moment, no matter where we are or what we are doing. He knows how many hairs are on our head (Matthew 10:30). He knows every time we get up or lay down (Psalm 139:2). He knows every time a bird falls from the sky (Matthew 10:29). And, He also already knows how many days I will be on this earth. So, I don’t need to worry about the unknown. I don’t need to have fear about something that will probably not happen. And if it does, I have to trust that God is in control and God has a plan for me. I have come to realize that everyone’s “normal” is going to be different. Even if you live in the same country, state or city what is normal to one person may not be normal to someone else. The thing about going to another country, especially a third world country, is that the “normal” is extremely different instead of just a little different. 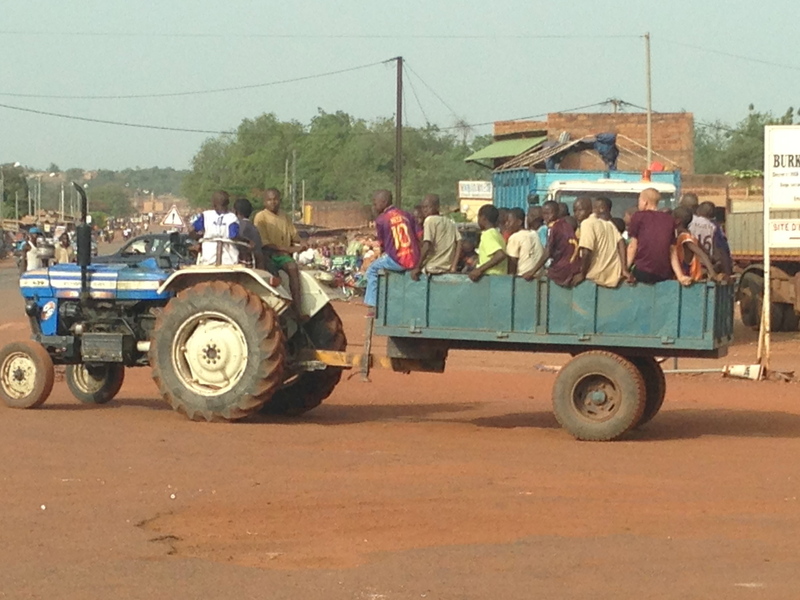 There are many things in Burkina that have become normal to me that I don’t even think twice about now. There are other things that have become normal to me, but at the same time are things I may never understand. In the US, our schedules and routines are very important to us. Here, it is all about relationships. Relationships are more important than getting your project done or being on time. This is something we Americans can learn from, but something that can be frustrating at times. It isn’t weird for me to go up to random strangers in the bush or at church and take their babies from them to hold for a while…OK, so maybe even at the go-kart track I grab other people’s babies. I can give candy to the neighbor children or other random children and I’m not considered a “stranger” that the children should not take candy from. Children, and I mean small children, play in the road or run across the street. Yes, we see this as dangerous and yes, it can be dangerous. But, I love to see the kids playing outside and having fun playing games with practically nothing instead of always on an electronic device or watching TV. Every. Single. Day. I see donkeys pulling carts with a load of something someone is transporting. People work so hard just to survive and make a living here. This guy had a small load … you would be surprised how much stuff one donkey can pull. It is normal to have people call after me every single day saying one of the following: “Nassarra”, “La blanche” or “tubabu” – 3 different languages to say the same thing – “white person”. It is also absolutely normal to see someone driving their moto down the road with 50 live chickens hanging on the handle bars or maybe a couple of live goats. I see this every day because this is how women carry things around…they are such hard workers and servants, but they are always so full of joy and very giving. These are just a few of the things I experience regularly. They have become part of my “normal” and so sometimes I forget how unique God has made each of us who make up this world He created. I forget to focus on the good and the unique things instead of focusing on the things that frustrate me. I forget how blessed I am to be part of what God is doing here in Burkina. 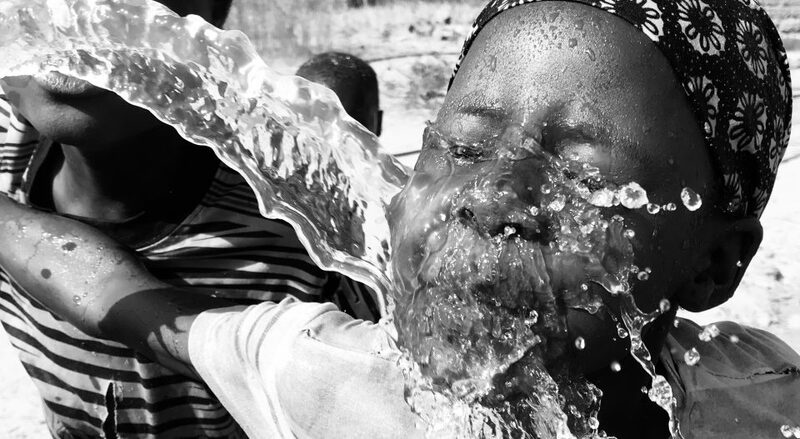 And so, I love to see Burkina through the eyes of those who are seeing it for the first time. The common assumption is that missionaries love going on home assignment and can’t wait to get a break from the work & return to their home country. However, it isn’t always that simple. Where we live is our home, we love what we do and we love the people where we live (both nationals and Expats). The truth is I love and look forward to going on home assignment. I can’t wait to see my family and friends. I can’t wait for cooler weather. I can’t wait to be in America and have access to so many of my favorite things. However, the truth is also that it is difficult to go on home assignment. 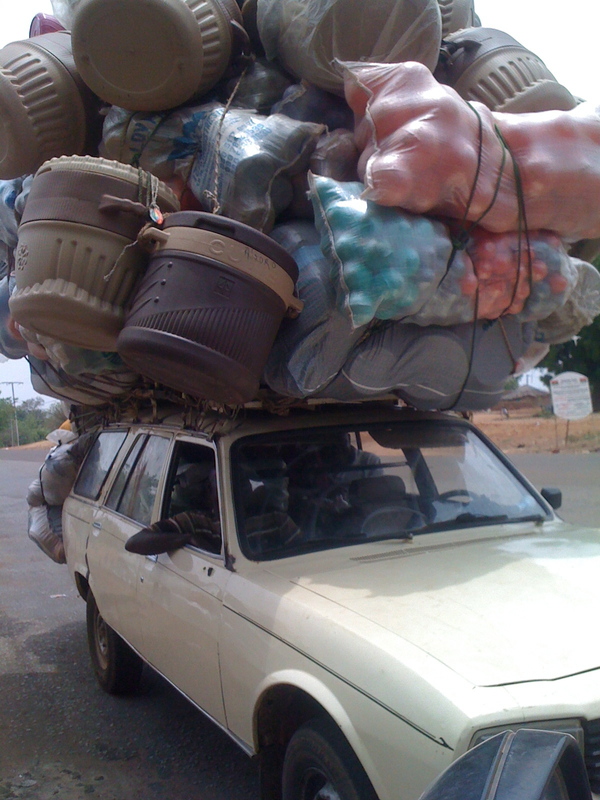 It means leaving my friends in Burkina for several months at a time. It means leaving behind the ministry and the work I love. It means leaving my home for several months. As much as I love getting back to America and seeing my family, it is difficult to leave knowing that ministry still goes on, my friends still have parties/get-togethers, holidays still come & go, babies still grow up … and I’m not there for any of it. When I’m in Burkina, I see pictures and posts about all that is going on with my family & friends in America – it makes me miss them more and want to be with them. However, when I’m in America I see pictures and posts of all the ministry going on and the fun all my friends are having and I’m jealous & want to be with them. It is definitely a heart divided when it comes to serving overseas.